Kerry was speaking on a discussion panel at the World Economic Forum in Davos, Switzerland, when he was asked what his message to Trump would be, according to CNBC. He doesnt have an ability to have that kind of conversation, Kerry said after debating whether to answer or not. He ultimately responded directly to the question, which prompted laughter and clapping from the audience. Trump was also supposed to be in Davos this week for the forum, but cancelled the trip due to the ongoing partial government shutdown that is now in its second month. Didn't he serve in Vietnam during the Vietnam War and went on a secret mission to Cambodia on orders from Nixon who wasn't even President at the time in search for his lost war medals? 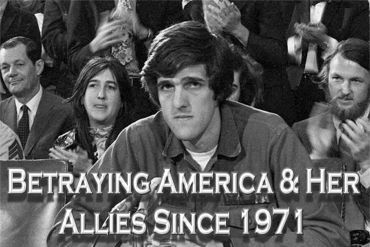 My message to John Kerry: GFY! Advice from a loser, to a winner. This dolt is really no different that Kathy Griffin, Occasional Kotex, Joe Biden, Maxine Waters, or any other idiot liberal. He’s just more polished at it. Looking forward to PDJT’s tweet in response to this Davosman. thesharkboy’s message to John “Vietnam Hero” Kerry: Shut up. Spoken from the deepest bowels of the Global Cabal. My message to the haughty john f’n kohn-heinz-kerry. FOAD. ISN’T it interesting (about the mass propaganda media) that all it takes for a washed-up, disgraced has-been (with zero current import or relevance) ... to get headline news coverage....is for him to say something stupid and/or insulting about president Trump? Failed Presidential candidates turn into incredibly ugly creatures, don’t they? Gore, Kerry, McCain, Romney, Clinton... what a lineup. Let me guess. Kerry biked into Davos, right? On msnbc this morning they said President Trump was not there because he is so disengaged from the real world. 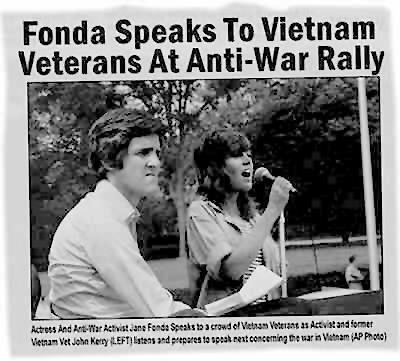 But speaking of tards, why was Vietnam Kerry there? A message for the war hero: Take a flying f**k at a rolling doughnut, traitor. LOL! I missed yours while I was typing mine. Great mimes and all! I am sure Trump would offer him an audience in the oval office if he wanted to actually say this to the President.